At Laka we set out to bring you the best protection against theft, accidental damage, vandalism and loss for all things bicycles. Read below what bikes and accessories you can cover with us.  Bikes between £1,000 and £10,000 can be covered with Laka. In total you can&apos;t insure more than £20,000 with us. We allow you to also add secondary bikes down to £500 in value. Everything below that is unfortunately not included in Laka. If you are in doubt, get in touch with us and ask. Need something else covered? Tell us now!